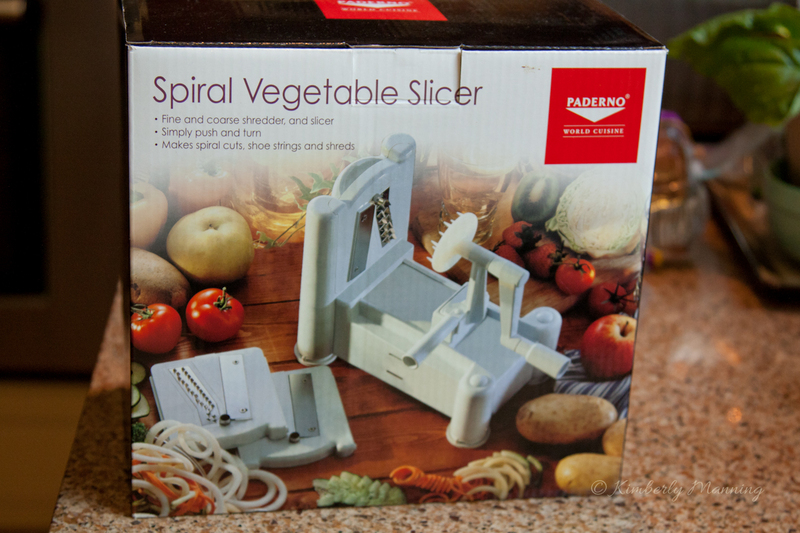 For Mother’s Day my husband got me a Paderno Spiral Vegetable Slicer. I know it sounds cliche to get the wife a kitchen tool but I wanted one and had almost bought it myself. Funny thing is he didn’t even know I wanted one. We just happened to read the same magazine article about it and both thought it would be a great tool. It is! 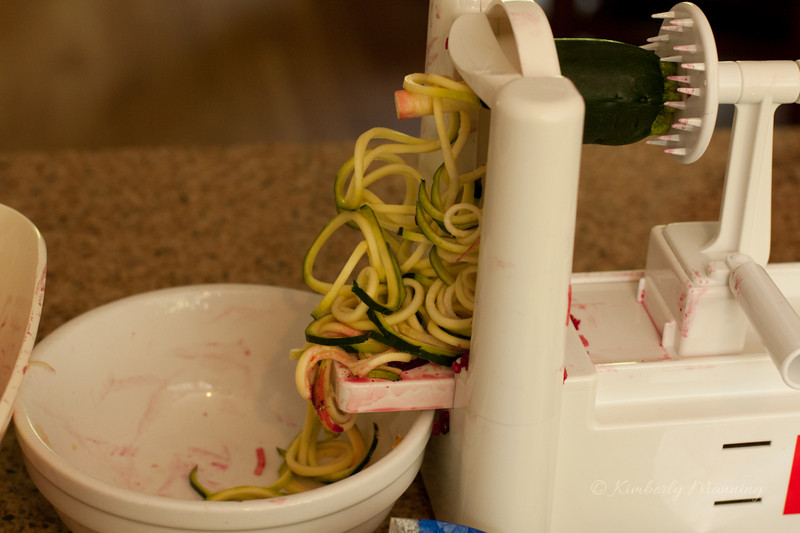 The Paderno spiralizer comes with 3 blades and is easy to clean and use. I think we paid about $30 on Amazon and right now they are selling on Amazon for $26.47. I thought they would have cost more. The long term durability and actual usage are to be determined. 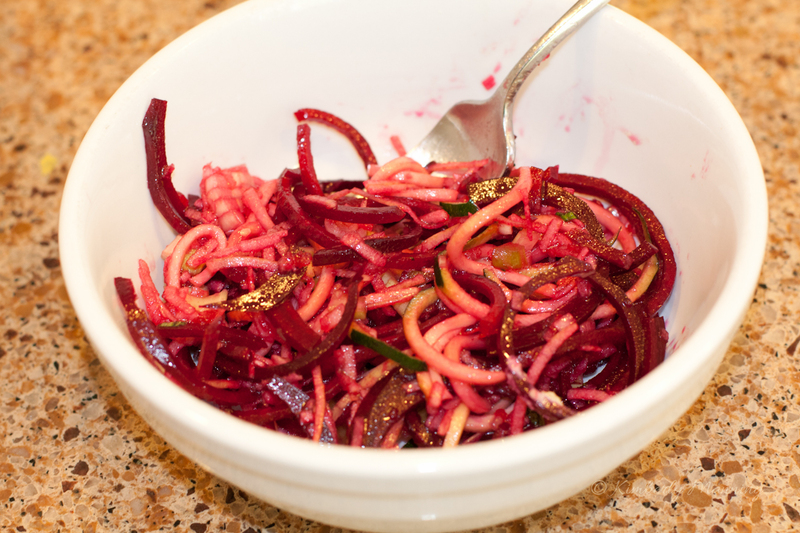 The first dish I prepared using my spiralizer was a raw beet and apple salad with a citrus dressing. 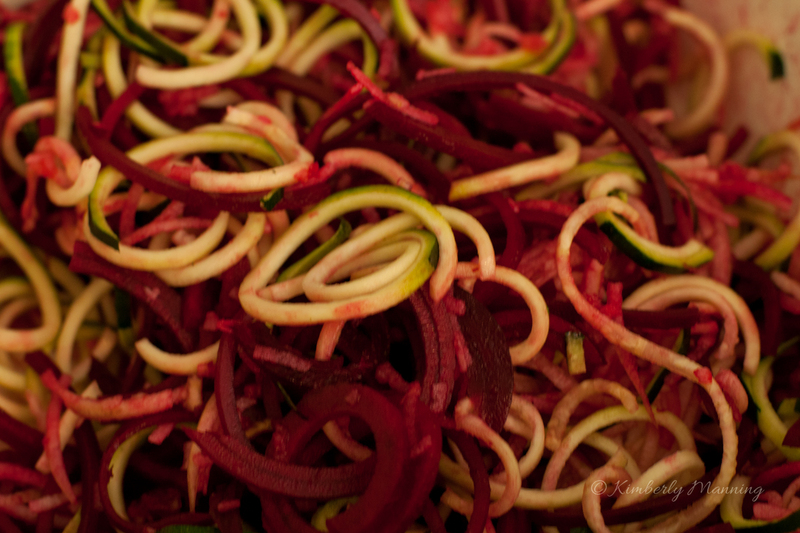 I used my “spaghetti” blade to spiralize the raw beets, apple and zucchini. It was fun, easy, and pretty cool. 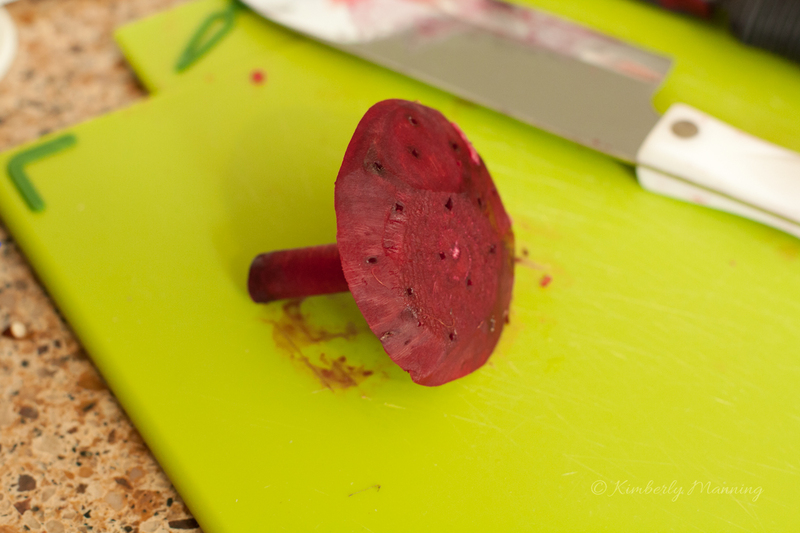 When I spiraled my beets, I got this little mushroom looking core as a result. The veggie “noodles” are quite pretty and sturdy. 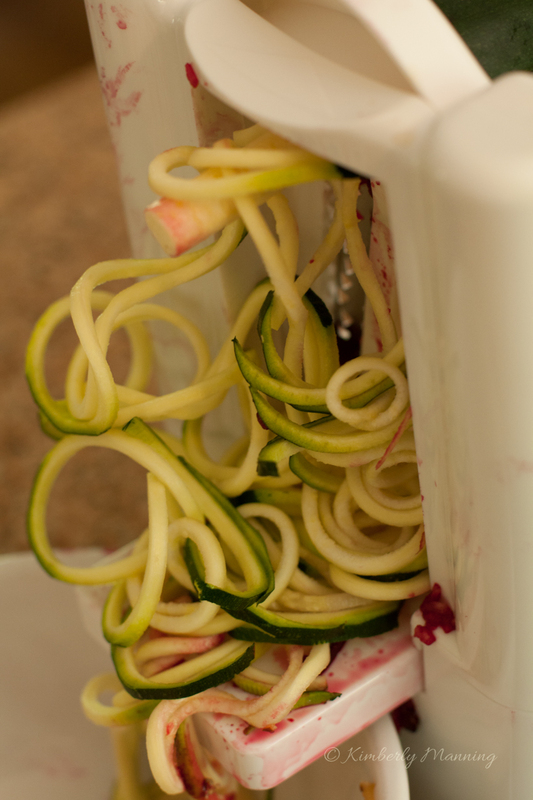 The same day I used my new spiralizer, Jeff’s cousin, Lynn, and my friend, Charlene, posted pictures of zucchini dishes they made using their spiralizers. One made a “pasta” type dish with mushrooms and tomatoes and the other made a zucchini “pasta” dish with a mango, avocado, and rosemary sauce. Now doesn’t that sound great? If you ever wanted to try one of these tools, I recommend it. A great alternative to pasta and it’s really easy. Even the hard beets were easy to slice. If you have any recipes, please share!